While his younger brother François Xavier has historically been credited with the creation of the modern bow, research shows that Nicolas Léonard Tourte 'l'Ainé' began making bows before his brother, during a time of great innovation in French bow making. 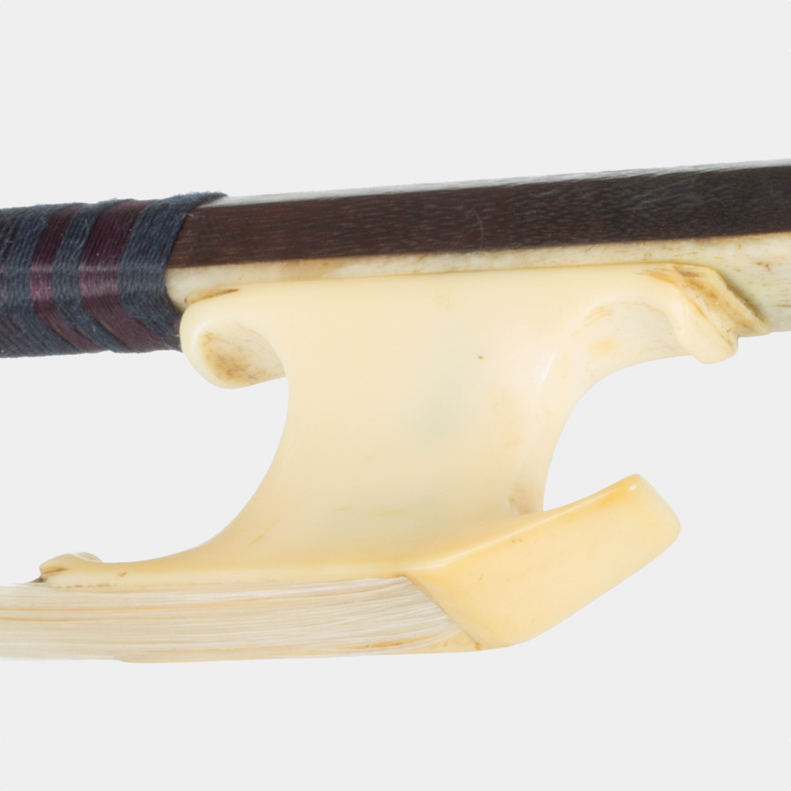 Desire for a wider tonal palette and accompanying modifications in ...Read More playing technique in the mid-18th century led to sweeping new demands in bow construction. Around 1750 and in the ensuing decades, makers experimented abundantly, and parallel versions of the modern bow existed side by side. Nicolas Léonard is especially known for his bows on a Cramer model, which are quite popular among performers of 18th-century period practice. His "modern" Viotti style bows are fewer, probably because the political upheaval of the French Revolution diminished his output later in life. Nicolas Léonard probably began his training around 1756 with his father Nicolas Pierre, at the age of ten. The two brothers probably began to collaborate as early as 1774, but early on were limited to selling bows through the Lejeune family. Modern bows were by then highly sought after, and when labor constraints were eased in 1776 allowing bow makers to work in precious metals, the brothers were perfectly placed to meet the demand. - The auction record for this maker is $48,000 in May 2010, for a cello bow.